HoD: Now, what about these KS3 exams? How are we going to assess them? I thought we’d use levels and sub levels. Colleague: Right but levels are supposed to be a thing of the past. HoD: Um, maybe, but Ofsted have told schools to continue using levels until the gap is filled and there are alternatives they are happy with. Colleague: But DfE told everyone to stop using levels a year ago. They actually said they had never been any good and no-one liked them. DHoD: Well they were rubbish but we still have to use them even though we’ve been told not to use them. Colleague: We could use GCSE grades instead which makes more sense as that’s what they’re aiming for in the long run. Or maybe we could use both to keep everyone happy. DHoD: But GCSE grades are going – should we use Bands 1 – 9 instead? Colleague: Well, no-one knows anything about those. Perhaps we should use the iGCSE criteria and gradings instead? HoD: Ah, yes… but we don’t know if iGCSE is going to count for much longer. We may end up back with the home boards. So, levels it is then? Colleague: I suppose so, dear Liza. I have worked in English for so long that I remember the initial struggle to get to grips with NC levels. I remember the chaos that emerged as more established staff struggled to work with something that ended at Level 7. Originally levels were designed so that 7 – 10 could be used at GCSE instead of grades but this never worked so we were left with 7 (or 8 if we were lucky). It was all horrible. Now it is even more hor rible. Everywhere I turn people are trying to assess pupils in limbo. We use the Ignite package but we can’t use their assessment system because the guidance from on high is to ‘stick with levels’ until the gap is filled. We are told to stop using levels but to continue using levels until schools are provided with an alternative. We have the new NC but no assessment system to measure it by. We have KS3 exams approaching and whatever system we measure our students by it will be ‘wrong’. No wonder no-one wants to teach KS3 any more. Why aren’t more people shouting about this? Where are these alternatives and, perhaps more worryingly, what sense will they make when they do present themselves? 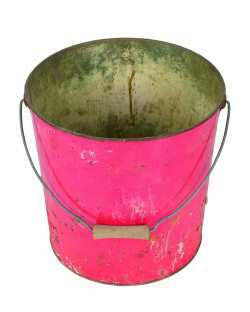 If there is a hole in our bucket, are they going to use straw to fix it?